That's a shame about the Marnes Blanches - it was great when I had a bottle a few months ago. 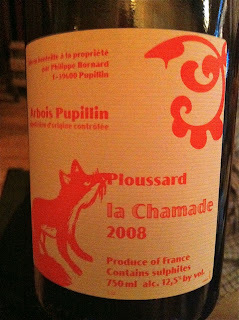 I have a bottle of Saint-Pierre 2011 Poulsard Petit Couroulet open at the moment that is very good. 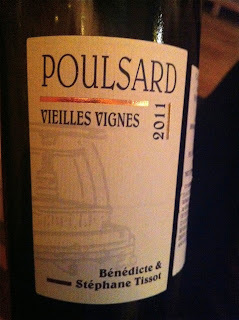 Outside poulsard, I also really enjoyed the 2009 Domaine de la Loue Savagnin a few nights ago. I have had a bit of bottle variation with the 2011 Gahier Ploussard. 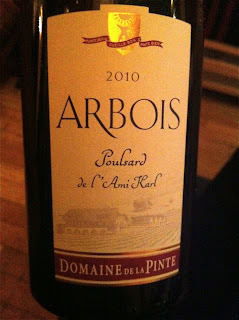 The last bottle was a little underwhelming, another 3 months ago was a delight. 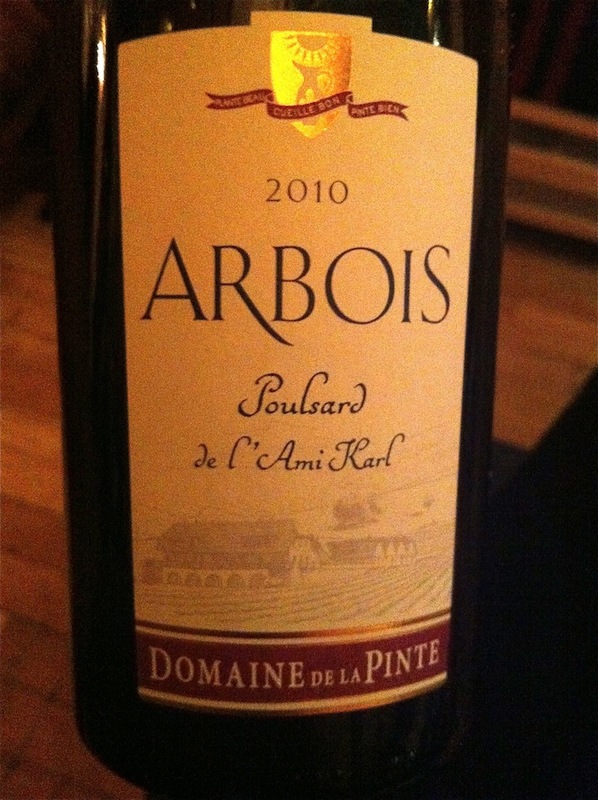 Peter Weygandt imports the Domaine de la Pinte. I don't know if you are the best wine critic anywhere -- but you can do better dollar for dollar....frequent reader and appreciate your work! When you say that the Houillon Overnoy is not seen on shelves.. does that mean that they go to Restaurants only, or that certain customers of places like Chambers buy it all up and hide it away before it gets to retail? I don't really understand.. Sorry, I meant to say you can't do better dollar for dollar! Jason - I mean that there is not a lot of the wine and there is a huge amount of demand, and it is allocated scarcely to some restaurants and some wine stores, and it gets sold before it hits the shelves. Like any rare and highly coveted wine. 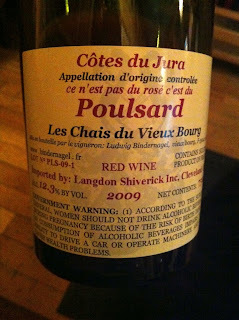 For example, this year there is some Lafarge 2010 in stores, but not the top wines. Those were sold before getting to the shelves. btw, I can't help but note how much Overnoy I saw in Italy on this recent trip... it's much easier to find in Europe... and perhaps less fetishized? 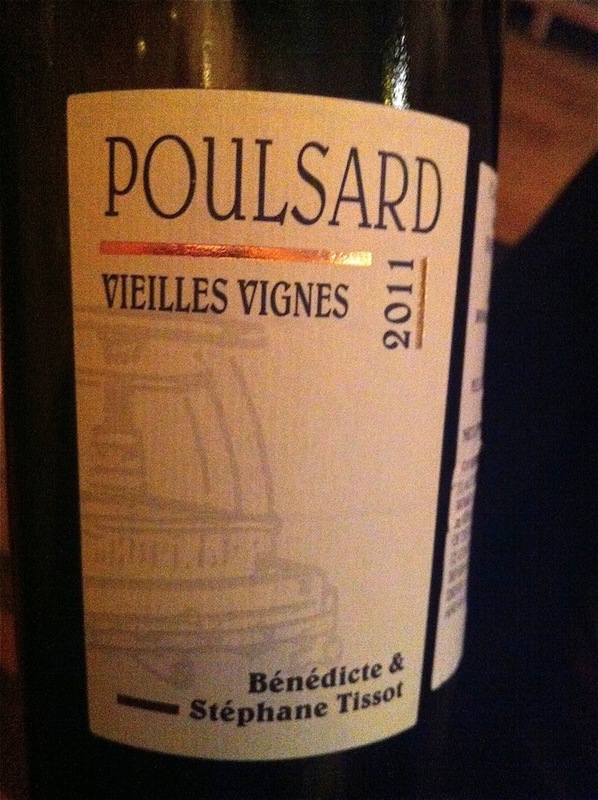 Sorry to hear about the Puffeney: I have to admit - Pope or no Pope - I really like his wines. 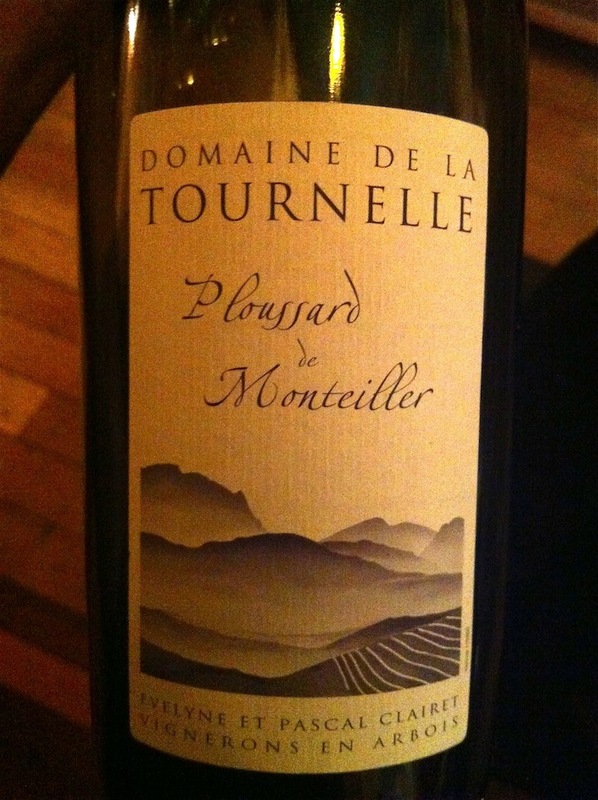 I can't compare Puffeney to the Tournelle you tried, but I've had Tournelle's carbonically-produced Uva Arbosiana, and found it softer and more fruit-pure, while the Puffeney showed more funk and earth with a shot of acid-structured red berries - a good mix of intensity and detail with a refreshingly deft and light weight. 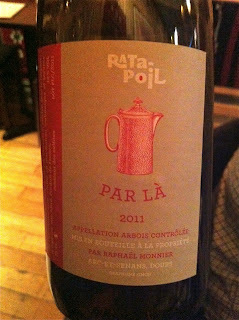 And it was a surprising hit paired with a lean gamy peppered pastrami. 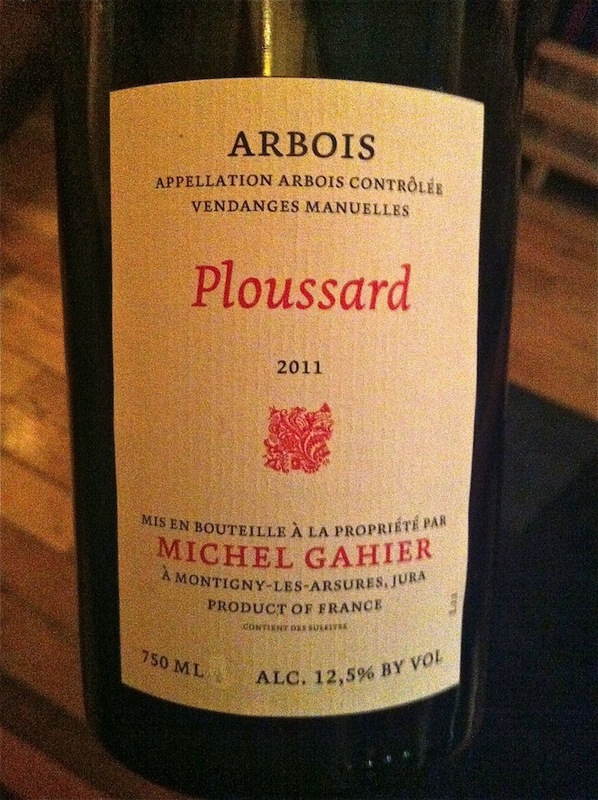 A great wine to explore with different food combinations. A great wine to drink, a breath of fresh air! Thanks for the great post: sounds like a stimulating evening. 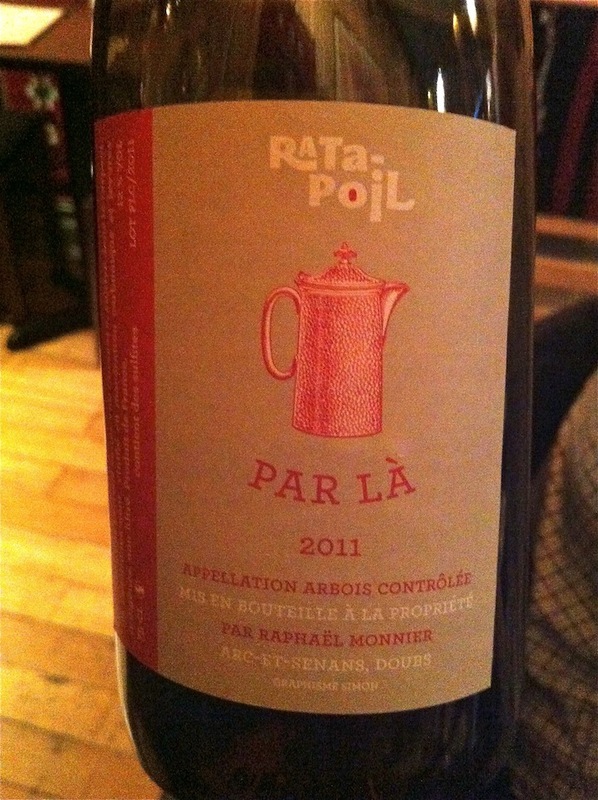 I'll be looking for some of these wines. 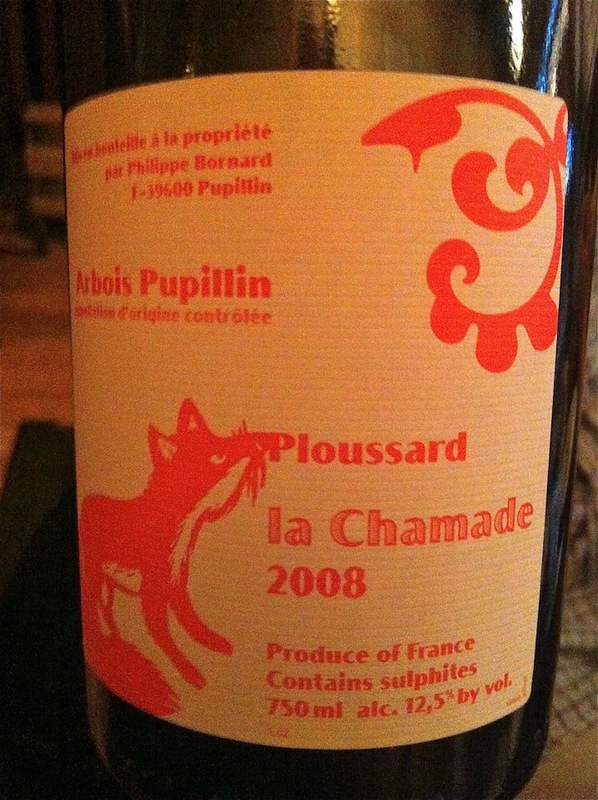 I am drinking a 2011 Puffeney Poulsard at this very moment,and I find it to be outstanding, and on the whole, completely integrated and satisfying on every level. Love your writing!